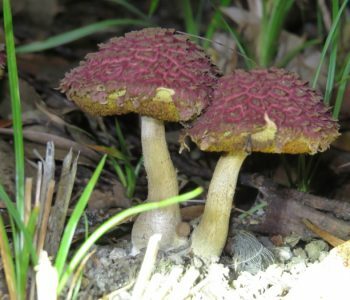 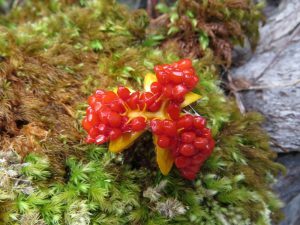 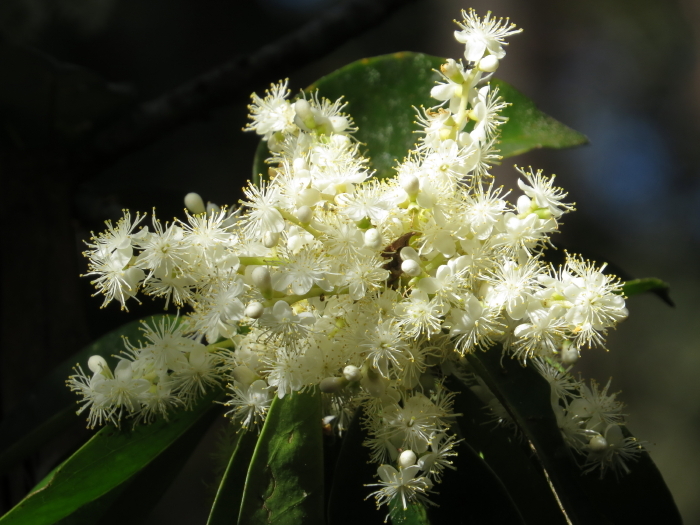 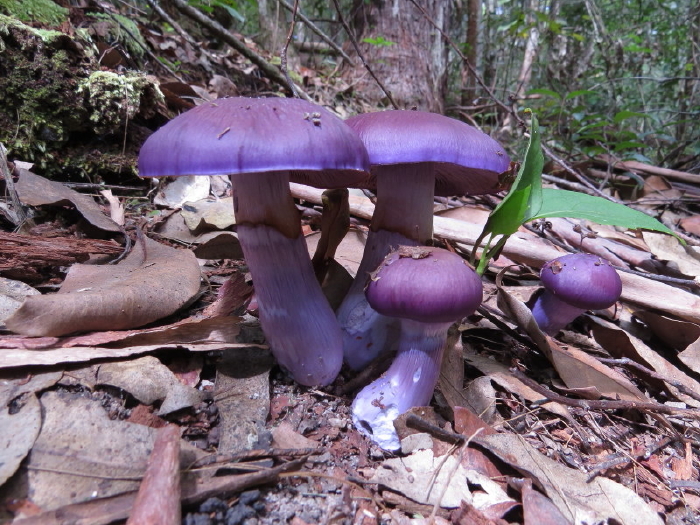 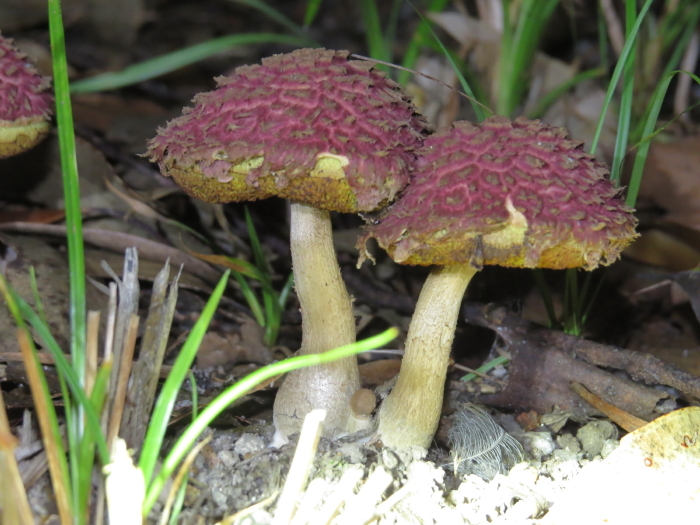 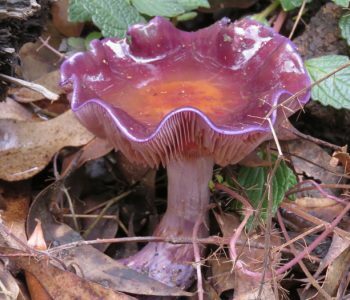 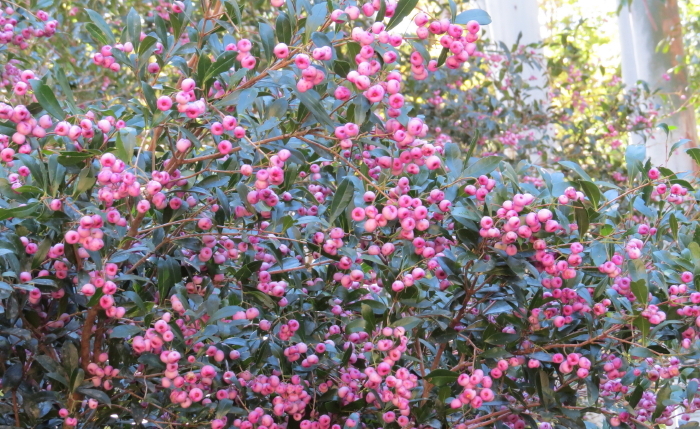 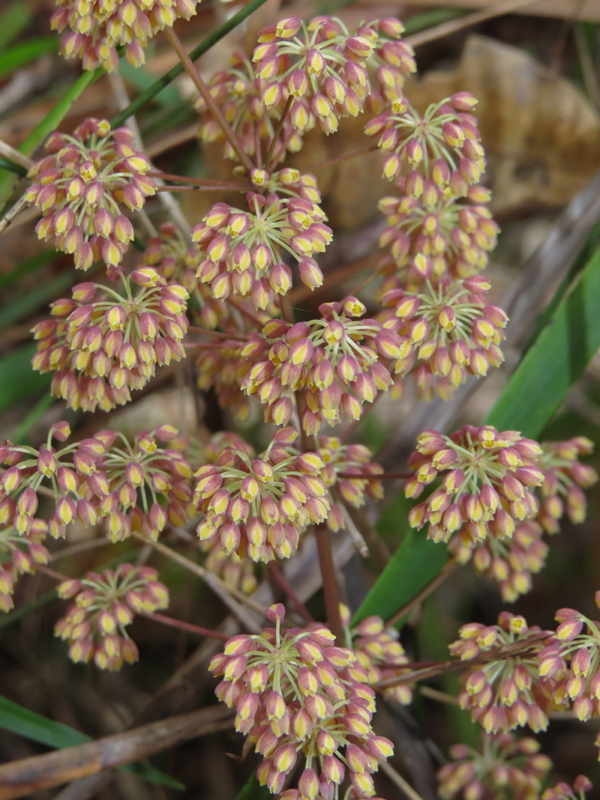 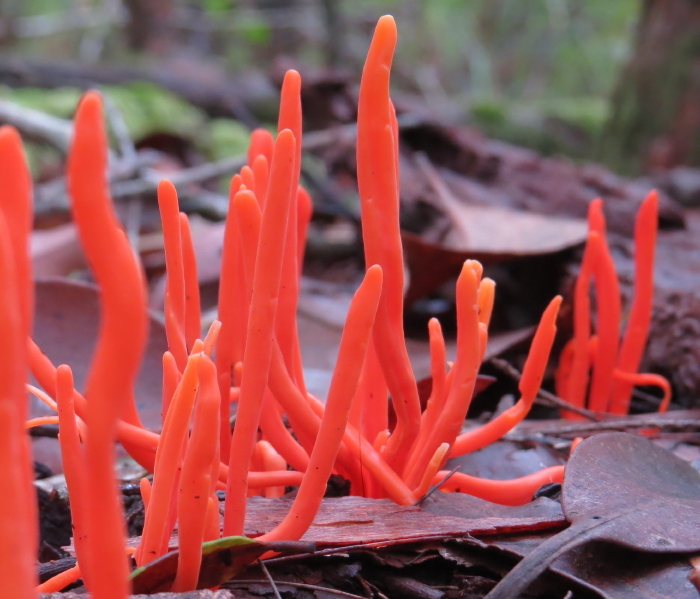 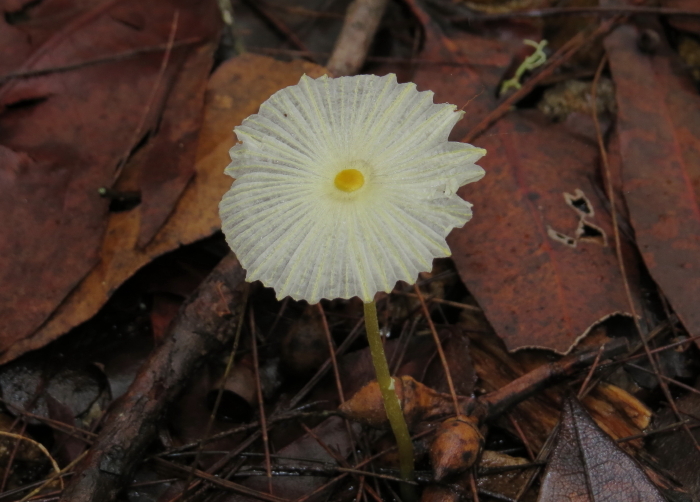 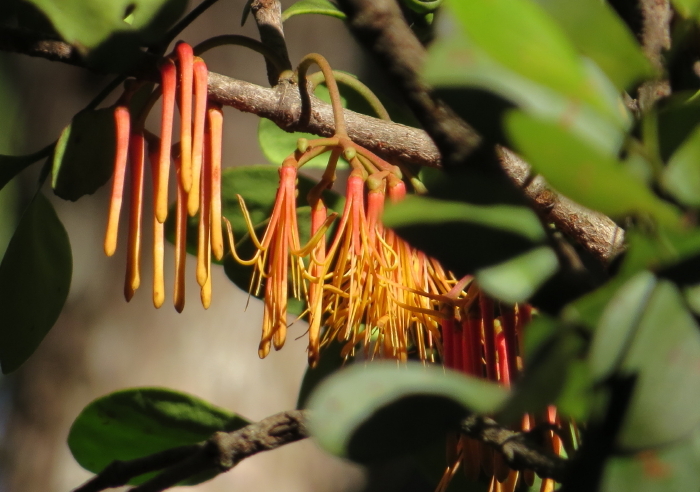 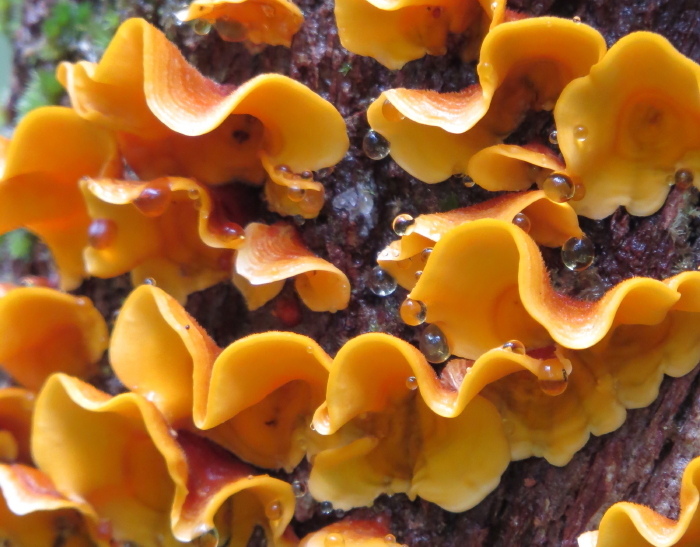 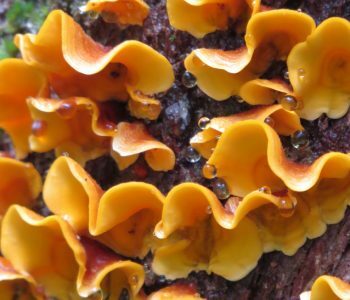 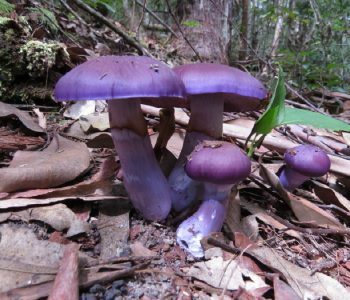 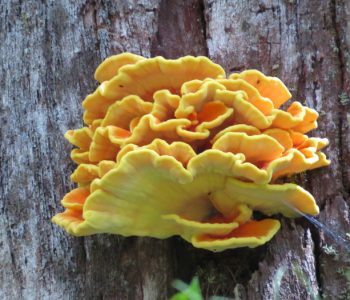 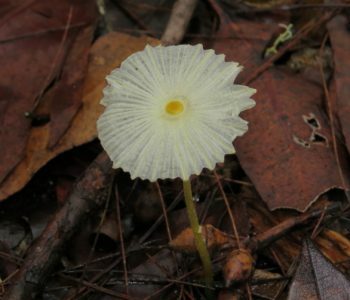 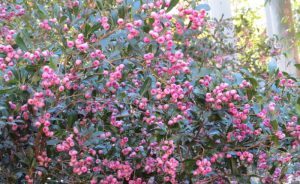 Flora and Fungi – the ecosystem and habitat on our property. 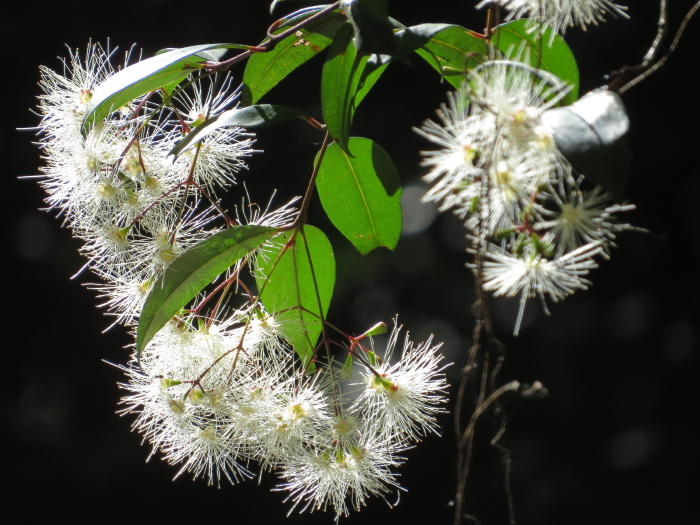 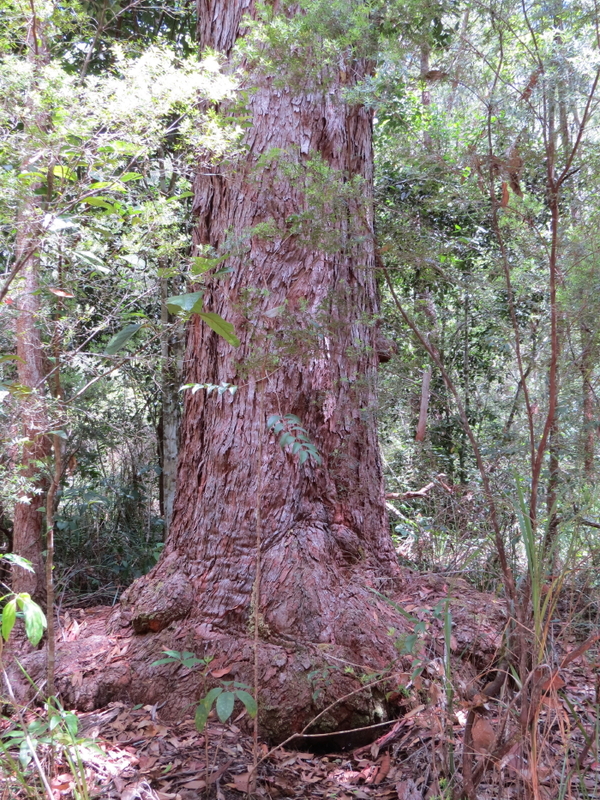 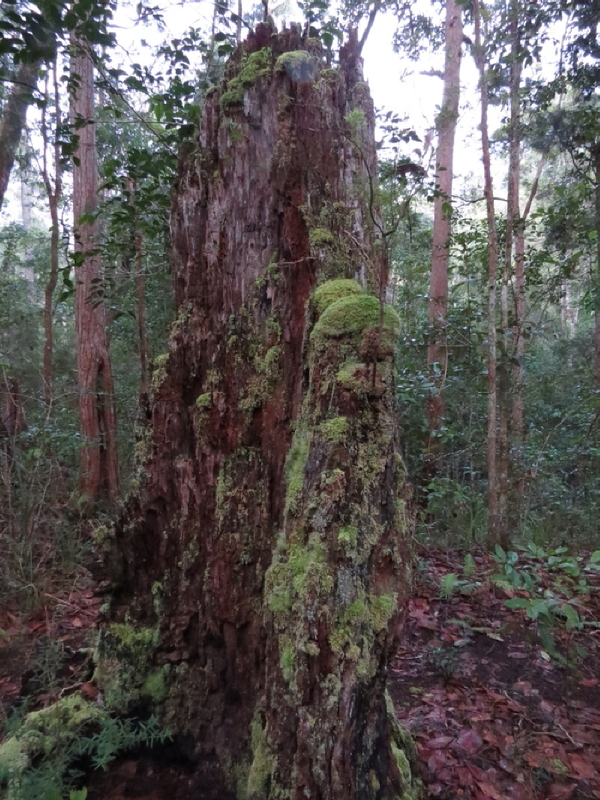 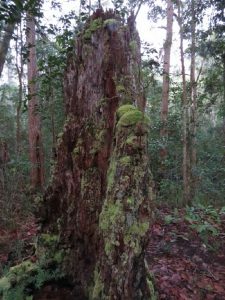 The vegetation type on our property is called ‘ tall open forest’ or ‘wet sclerophyll forest’, with the dominant trees being smooth-barked Rose Gums (Eucalyptus grandis) along the creeks and gullies, Red Mahogany (E. resinifera) and Turpentine (Syncarpia glomulifera), interspersed with Brush Box (Lophostemon confertus)and Casuarinas (Allocasuarina torulosa) . 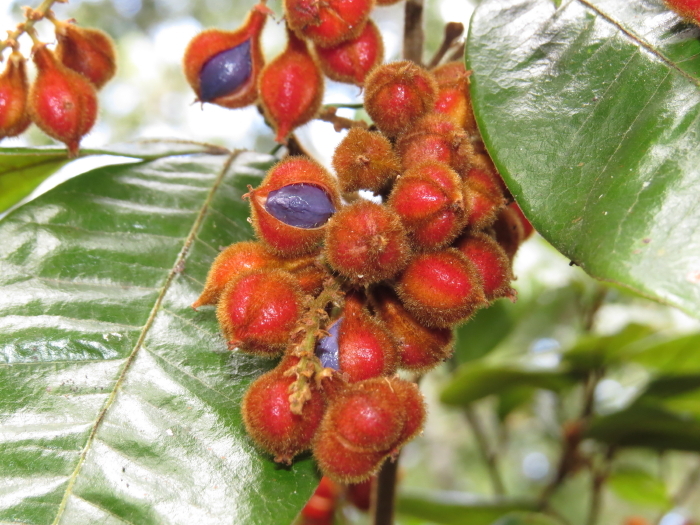 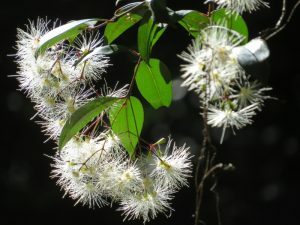 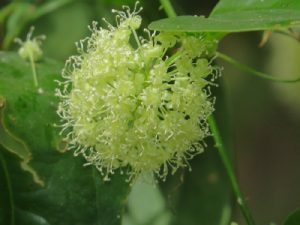 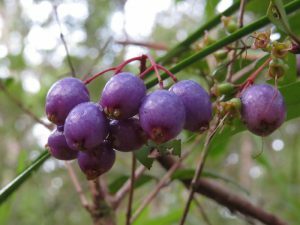 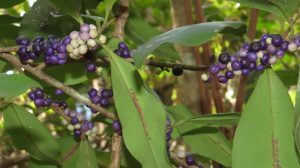 The understorey consists mainly of sclerophyll (hard-leaved) shrubs and numerous rainforest pioneers, usually easily recognized by their softer, larger leaves. 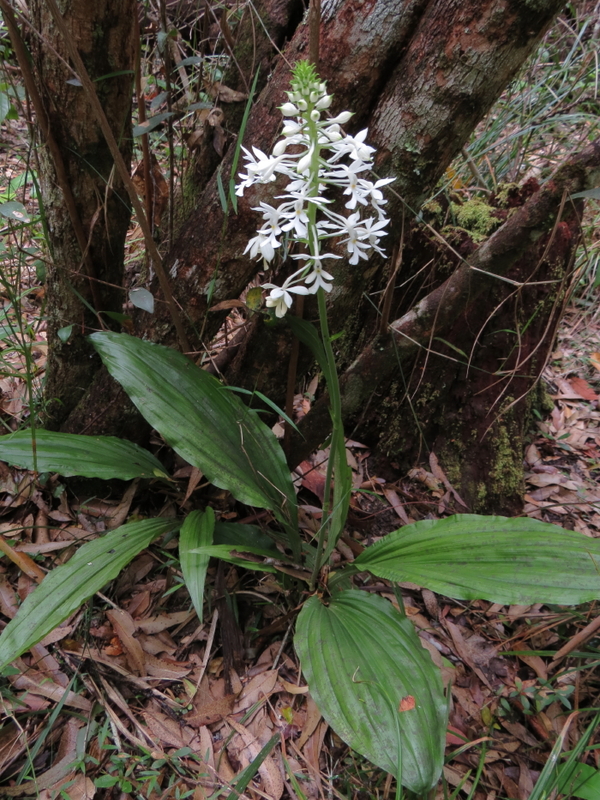 The ground layer is made up of grasses, native ginger and ground orchids. 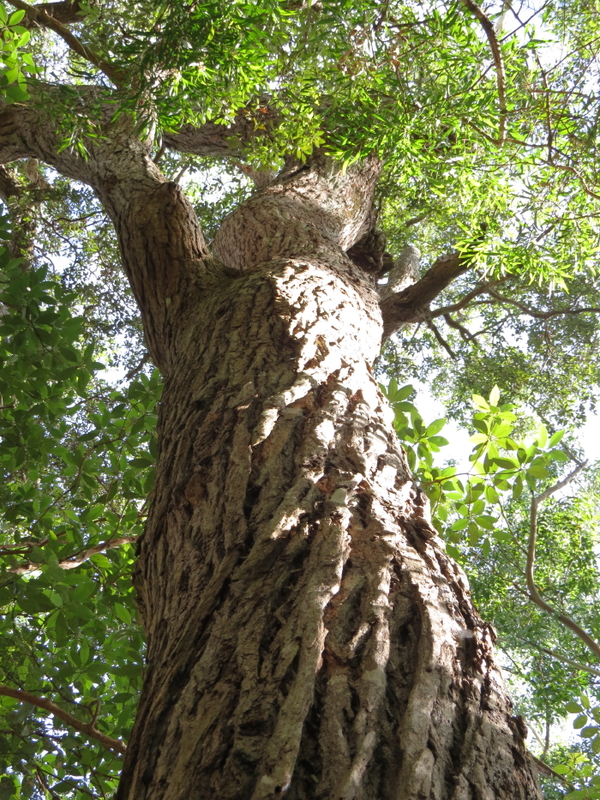 Many (tasty, from a tree-kangaroo’s perspective) vines often reach up into the canopy and represent a significant amount of foliage. 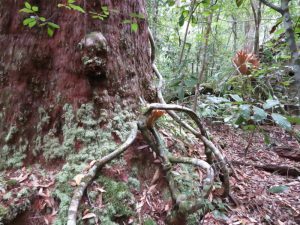 We regularily find traces of possum or tree-roo feeding activities: many leaves scattered on the ground (often sprinkled with droppings) across a small area. 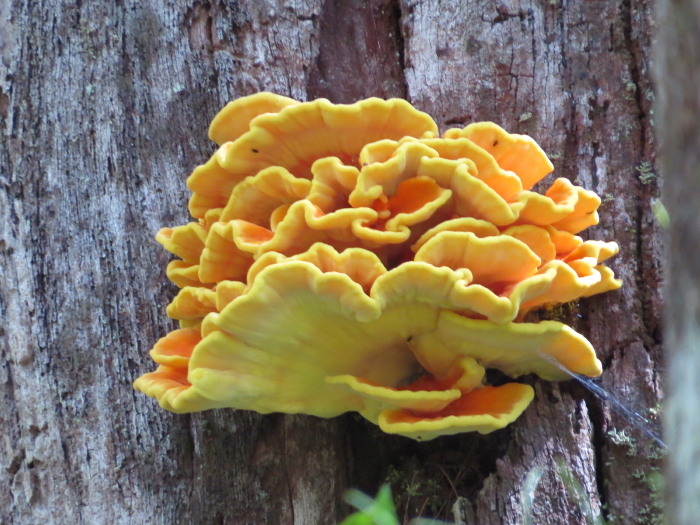 Remarkably, often only the leaf stalkes have been eaten, maybe they are more nutrious than the rest of the leaf? 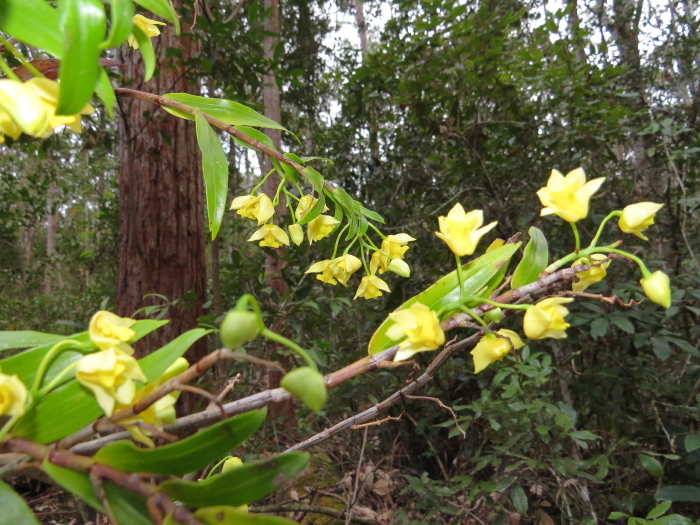 Along the walking tracks, we labelled the dominant plants and some rarities, more to be added over time. We are in a transition zone (ecotone) between rainforest and drier, open woodlands, which results in a very diverse plant community. 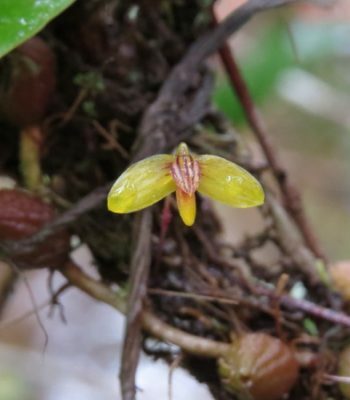 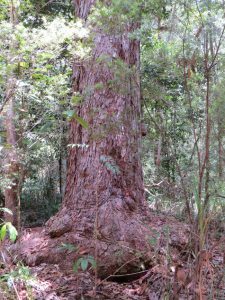 Rainforest species, many of them pioneers, are spreading from the nearby rainforest (about 400m to the east) along the creeks and the larger gully, but seedlings are also sprouting throughout the drier parts of the forest, dispersed by birds. Cassowary droppings contain many seeds embedded in a rich ‘compost’. Some of these rainforest species also occur in wet sclerophyll forest. 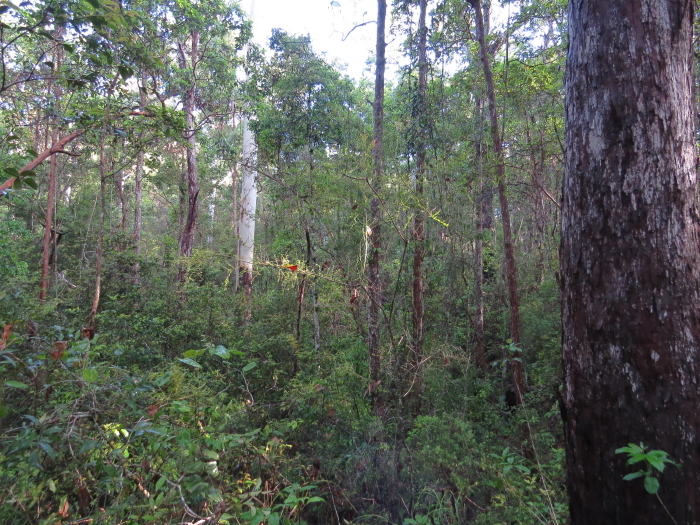 The sclerophyll forest is more open than rainforest, making it easier to observe birds (although they can be fairly high up in the canopy). 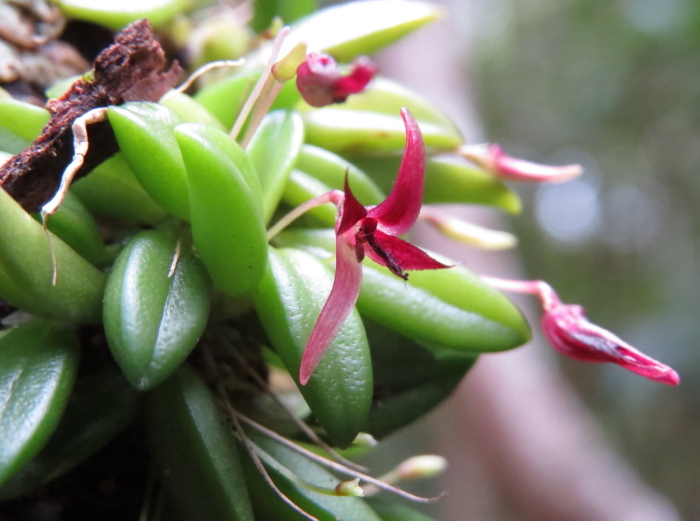 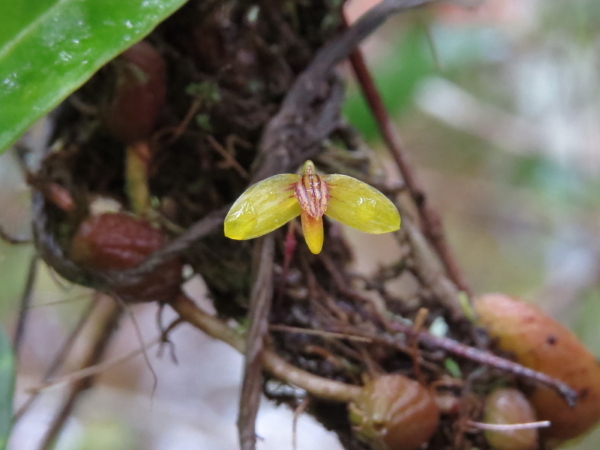 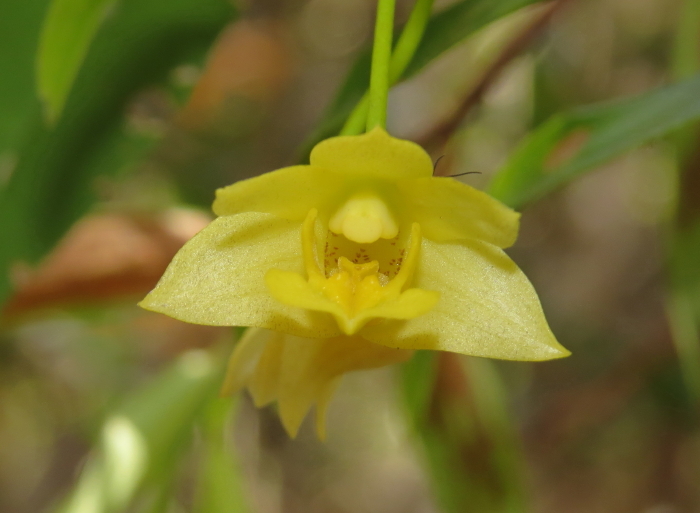 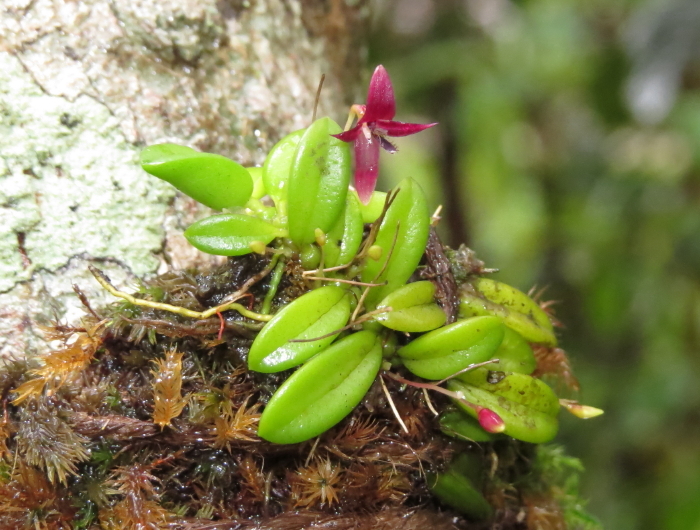 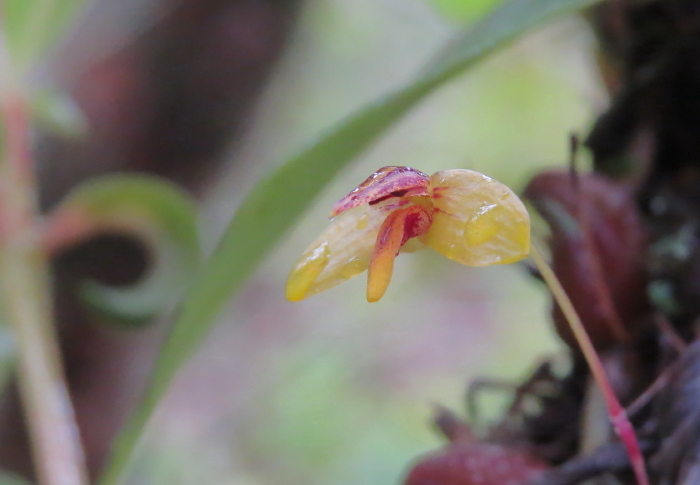 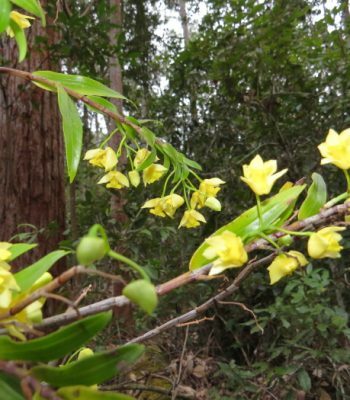 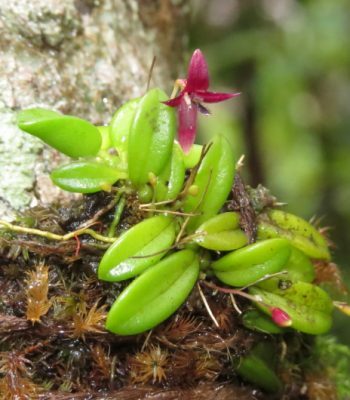 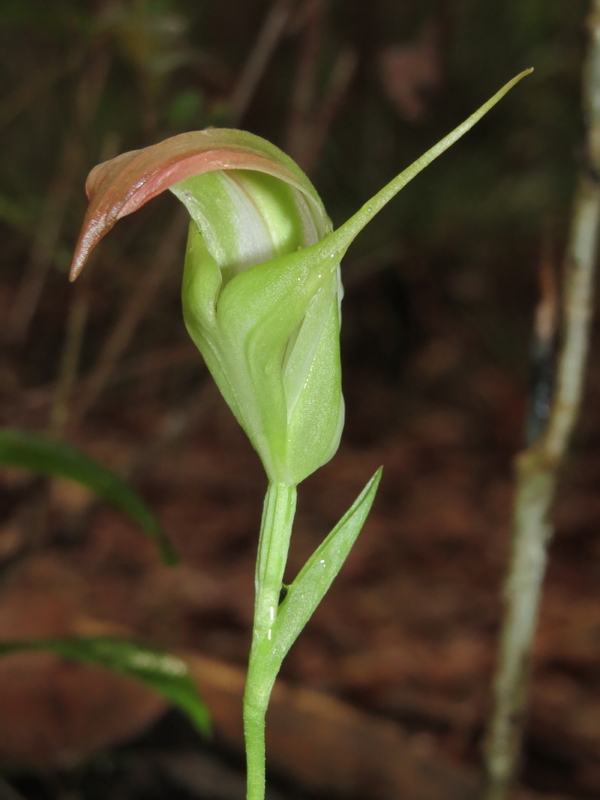 There are many species of orchids in our forest, epiphytic and terrestrial. 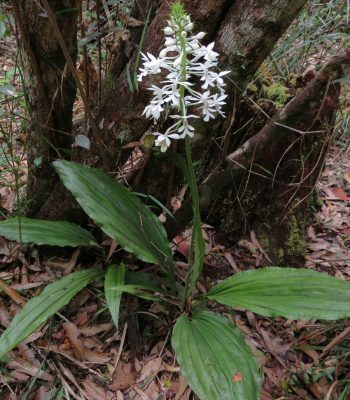 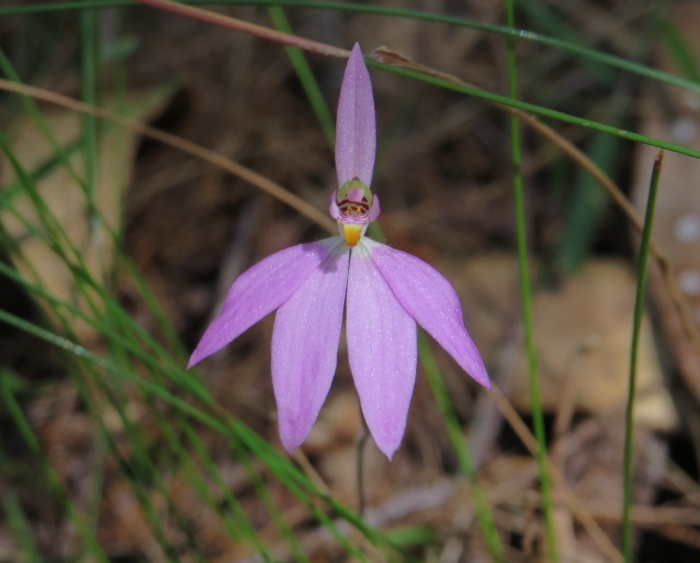 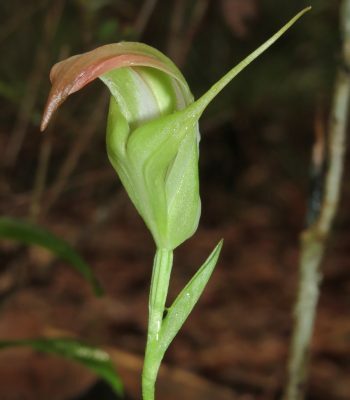 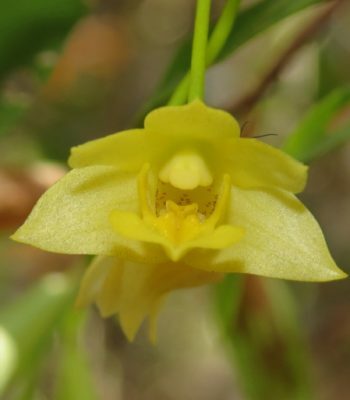 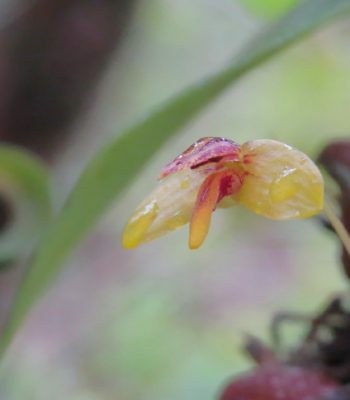 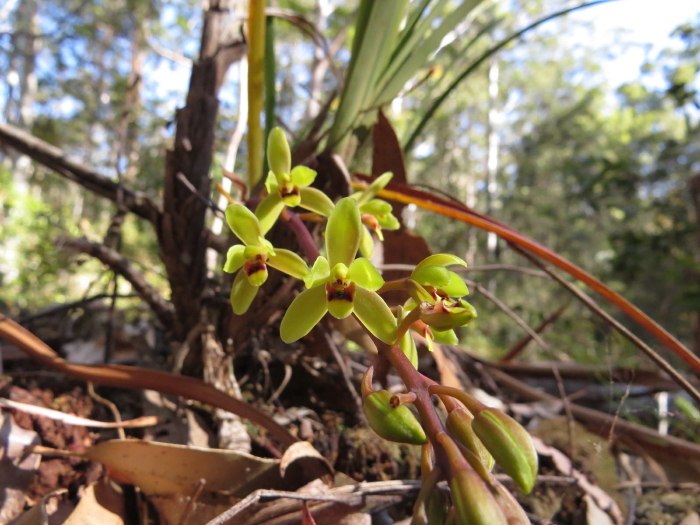 Most species of Australian orchids are terrestrial, becoming only conspicuous when they are in flower. 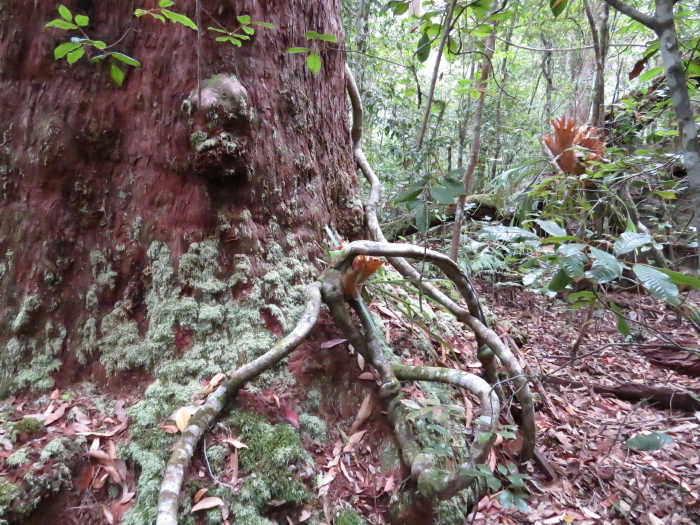 Epiphytic ferns and vines are numerous. 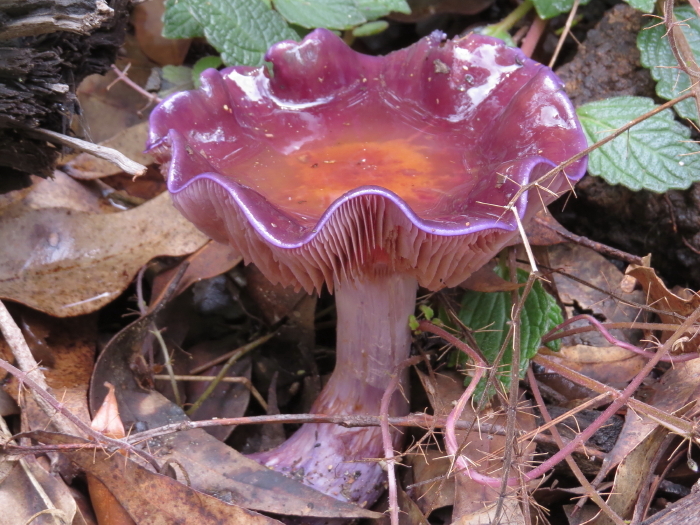 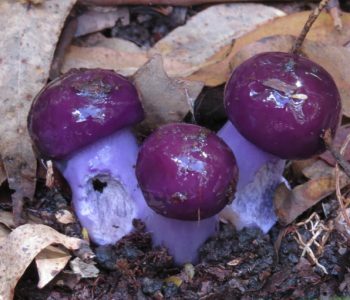 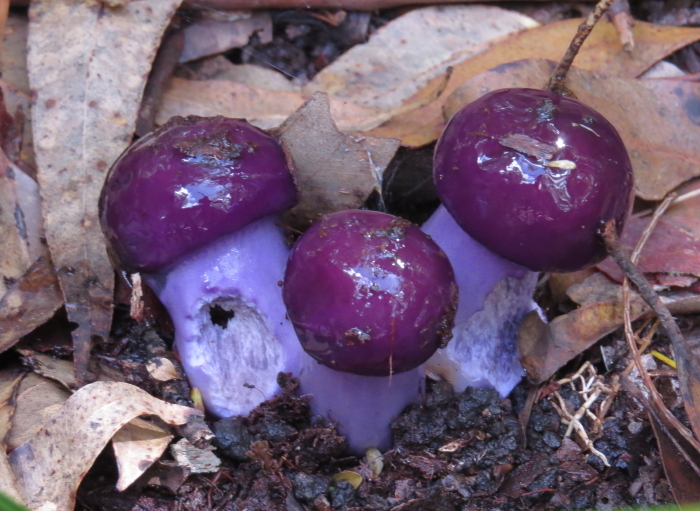 In summer and autumn many fungi are growing fruiting bodies, often brightly coloured.